Home / Celebrity / Sbahle Mpisane / Pictures of Fitness bunny Sbahle Mpisane doing her workout. 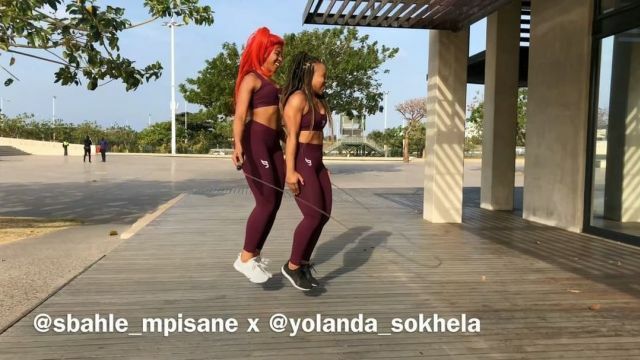 Pictures of Fitness bunny Sbahle Mpisane doing her workout. Pictures of Fitness bunny Sbahle Mpisane doing her workout. Had such a lovely morning, thank you Ulusha foundation @thanduxolosabelo for making it possible and gathering the community to participate…hot through my day in my new superior cushioning and energy returning ‘Hybrid Rocket’ trainers. Next weekend @yolanda_sokhela and I will be taking you for a real spin in Durban. I hope you have purchased your tickets.